Hyperlocal marketing—the tactic of messaging specific nearby audiences—is not a fresh approach by any means; it’s been around for as long as people have been talking to neighbors and posting flyers. However, what is new is the increased efficiency and targetability of hyperlocal marketing. The first is the Internet. The rise of digital has brought about new channels and formats such as search ads, campaign targeting, and automated systems which give businesses the ability to message small groups or even individuals cost effectively. However, even the best digital approaches would be ineffectual for hyperlocal marketing if the messaging could not be connected to consumers in specific locations. That’s why the second element—smartphones—has been transformational. It’s hard to overstate the importance of these devices for hyperlocal marketing. The two have become intertwined to the point where almost every local engagement tactic is now mobile-based. Why is this? Why has mobile become so essential to hyperlocal marketing? Smartphones have become essential to hyperlocal marketing in part because they’ve become essential to almost everything else Americans do. Some 77% of all American adults now have a smartphone—and this share jumps to 92% for 18- to 29-year-olds. Mobile devices haven’t just become ubiquitous, they’ve become the primary way people engage with the web, media, and each other: More than half of worldwide Internet use now occurs via mobile devices; people spend more time using mobile apps than watching TV; and two-thirds of emails are opened on mobile devices. How reliant are consumers on their mobile devices? Some 71% of people now sleep with their smartphone in their bed/next to their bed and 50% of smartphone owners aged 18–24 check their devices in the middle of the night. 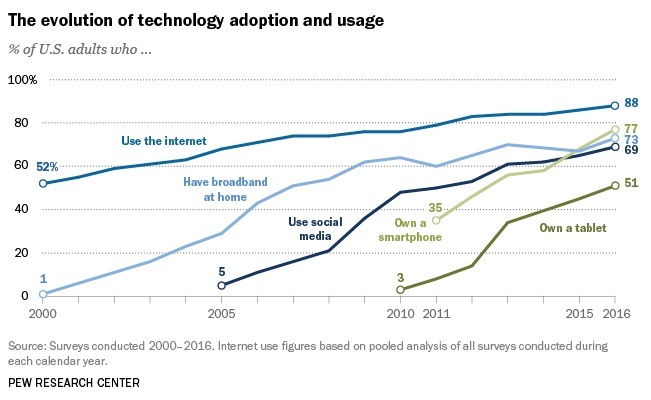 In other words, people have their smartphones with them constantly and are using them constantly. That combination of prevalence and popularity is the foundation of the devices’ importance to hyperlocal marketing. 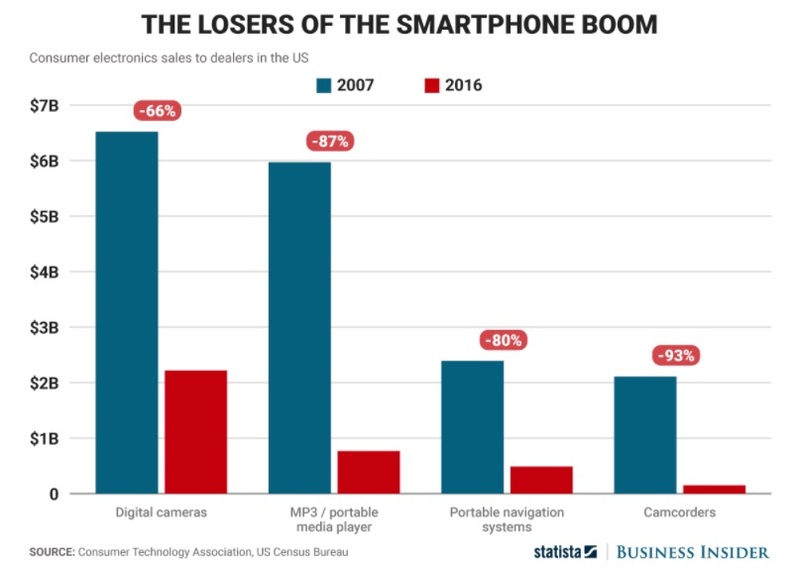 Sales of portable navigation systems sales plunged by 80% between 2006 and 2016. Why? Because things like GPS devices were supplanted by smartphones. The other capabilities of smartphones—beautiful screens, tiny cameras, touch sensors, etc.— are so impressive that the location-based elements are often overlooked. However, the fact that most phones are GPS-enabled and constantly Internet-connected is transformational as well. Working in tandem with other built-in technologies NFC, Wi-Fi, Bluetooth, etc.—mobile devices are able to continuously deliver an owner’s location based not just on a broad area (city, neighborhood) but down to a few feet. For brands looking to reach nearby consumers, this is enormously important. Smartphones have evolved into the dream device for hyperlocal marketing: they’re a scalable way reach almost any individual at almost any time, based on exact location. Is it possible to see the impact of location-enabled smartphones on how consumers act? Absolutely. Just take a look at search behavior. Up until a few years ago, local digital search behavior mimicked how consumers utilized non-digital tools such as the Yellow Pages: people would sit down in their home or office and use a desktop computer and look for a nearby business/service to visit/utilize in the future. Mobile has completely changed that. 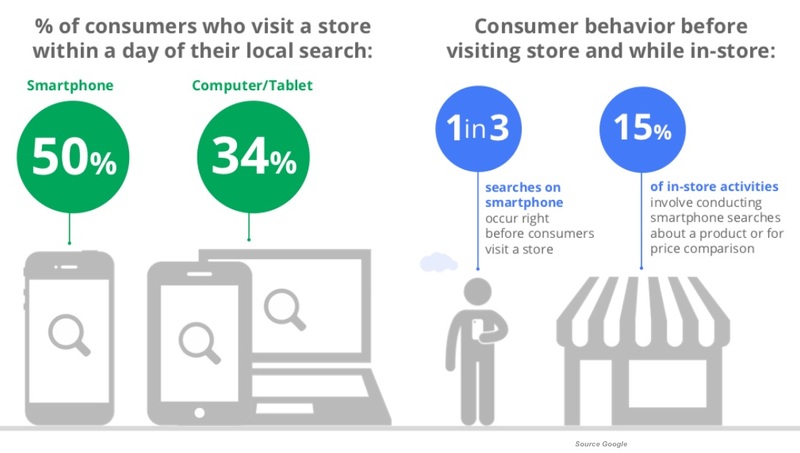 Consumers now use their smartphones to local search while on-the-go and to look for businesses/services that they need soon. 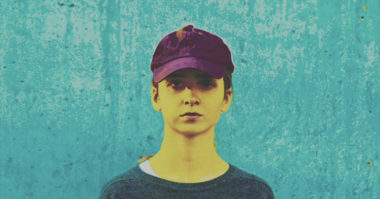 How soon? According to Google data, 50% of local searchers visit a store within a day and 33% visit immediately. 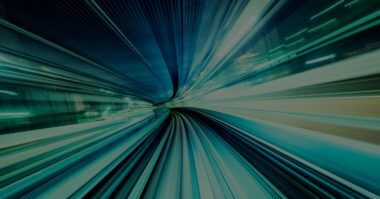 For hyperlocal marketers, this behavior shift has a major impact on unpaid and paid approaches; it means that search advertisements, as well as organic tactics such as SEO and content development, can be used to effectively target highly motivated nearby consumers right as they’re prepared to take action. Another important aspect of mobile behavior for hyperlocal marketing is the popularity and power of digital map platforms. For many consumers, these apps are a core part of their mobile experience. Google Maps alone is used by by 57% of smartphone users and ranks as the fifth most-utilized program. What’s important to understand is that platforms such as Google Maps aren’t just used to get directions; they’ve become the primary way to access local and travel information for many consumers. Increasingly, they’re the starting point for how people find all sorts of local businesses/services, from restaurants, to dentists, to plumbers. For hyperlocal marketers, it helps to think of map platforms as the new local portals—they’re frequently the funnel that more and more consumers pass through. 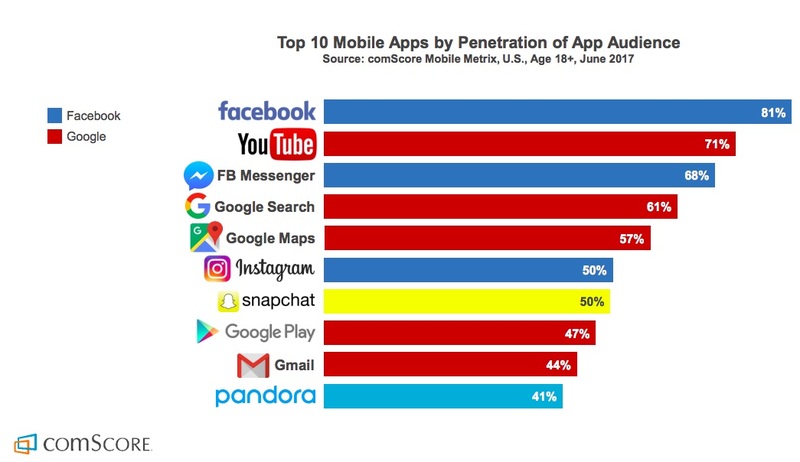 Finally, it’s essential to note the interconnected importance of mobile and social media with consumers. Americans now spend five hours a day utilizing their smartphones and 36% of that time is spent on social/messaging platforms. Nearly 80% of social media time is now spent on mobile devices rather than desktop devices. Social engagement is nearly constant. 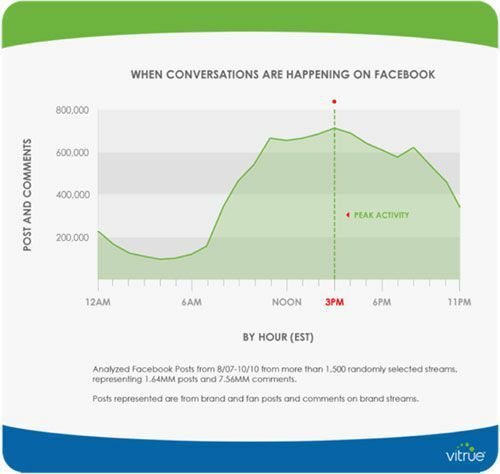 Data on Facebook conversations shows that people interact on the platform consistently from the time they wake up until they go to sleep. 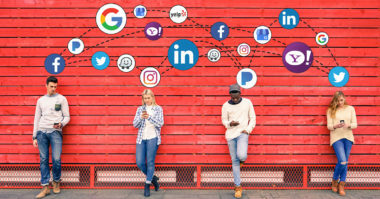 That data is important for hyperlocal marketers because social platforms are increasingly effective in delivering location-based posts and advertisements to on-the-go smartphone consumers. This can be seen with tools such as Facebook Local Business Promotion, which allows brands to easily reach huge audiences based on specific geographies and interests. Ultimately, all of these elements work together to create compelling opportunities for marketers. Consumers have embraced GPS-enabled smartphones, which makes connecting with them based on geography much simpler. They have also shifted their digital behavior to embrace mobile-friendly platforms—such as search, maps, social—which allow for sophisticated targeted messaging based on location. Put together, these evolutions have made modern, mobile-first hyperlocal marketing incredibly efficient and powerful. Leverage the power of hyperlocal marketing. Contact MDG Advertising today at 561-338-7797 or visit mdgadvertising.com.